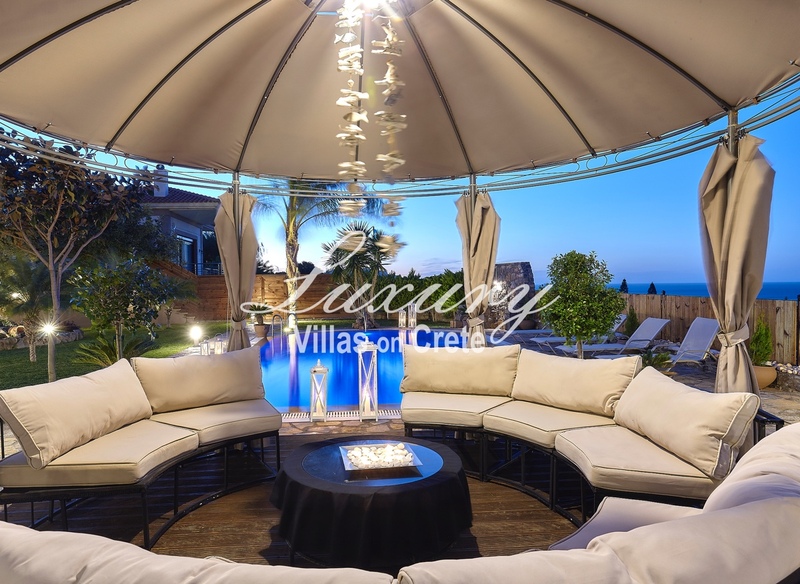 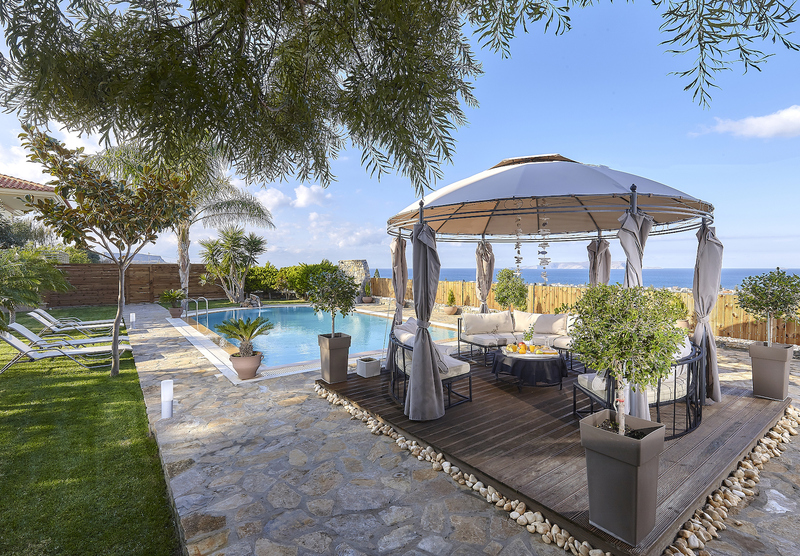 Villa Thea is a spectacular property overlooking the breathtaking views of the area and the Mediterranean sea. 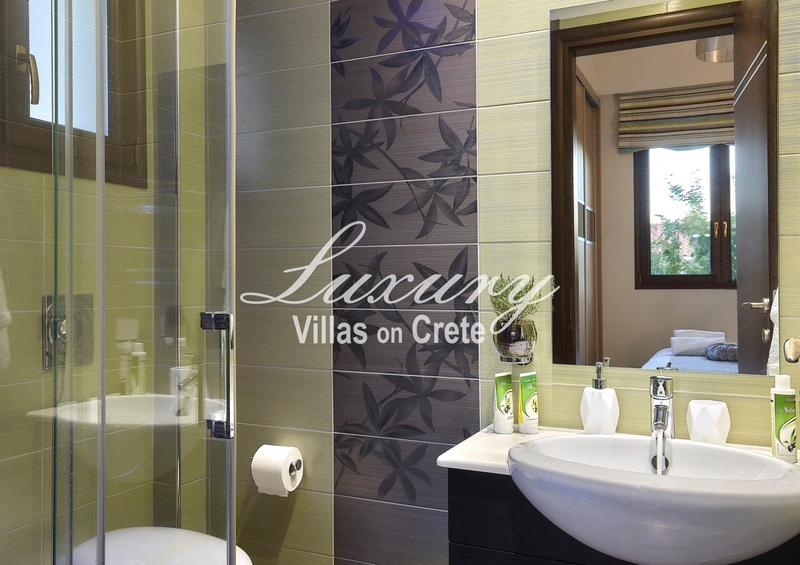 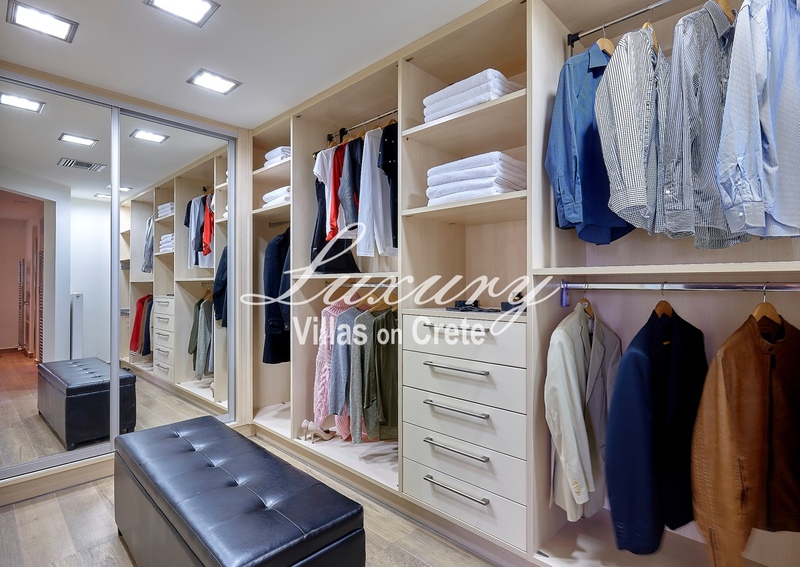 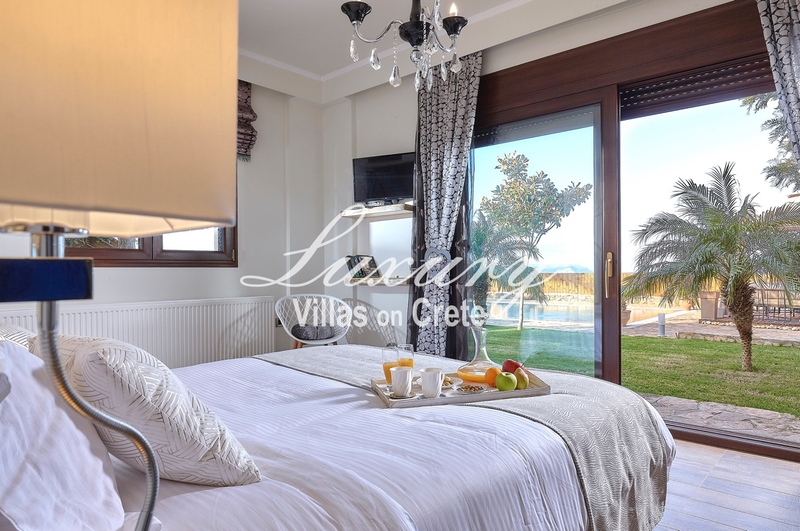 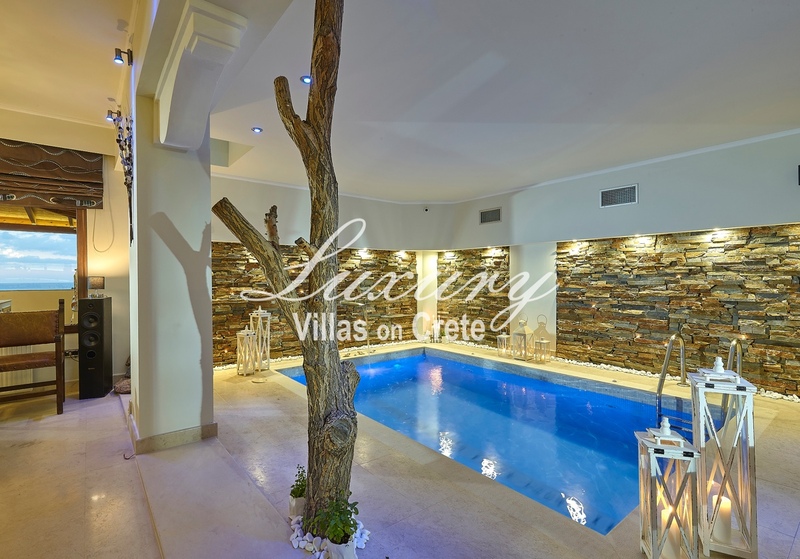 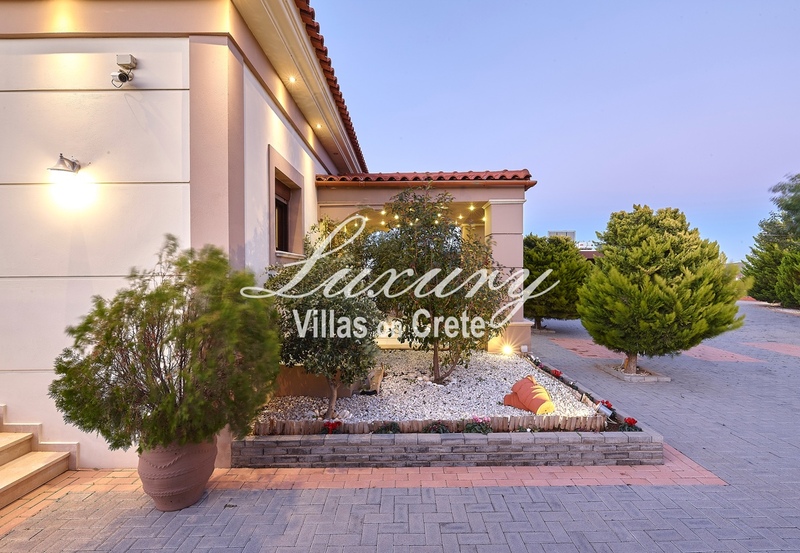 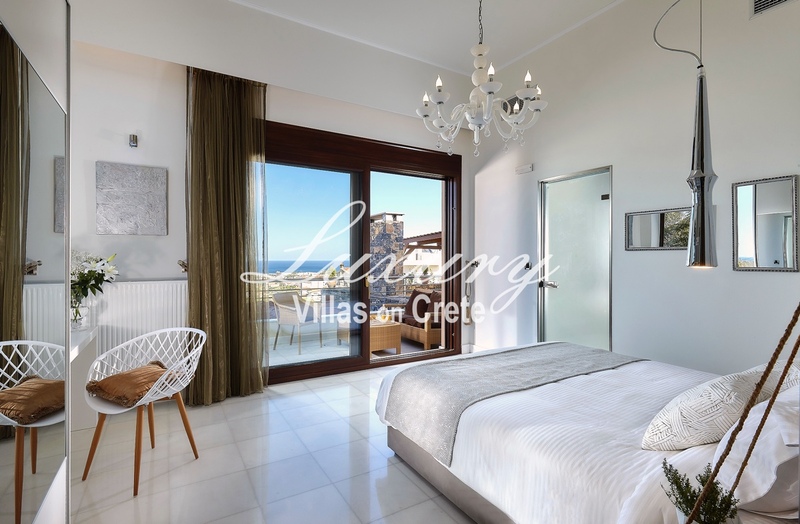 Entering the villa you face the large hallway where four en-suite bedrooms are located. 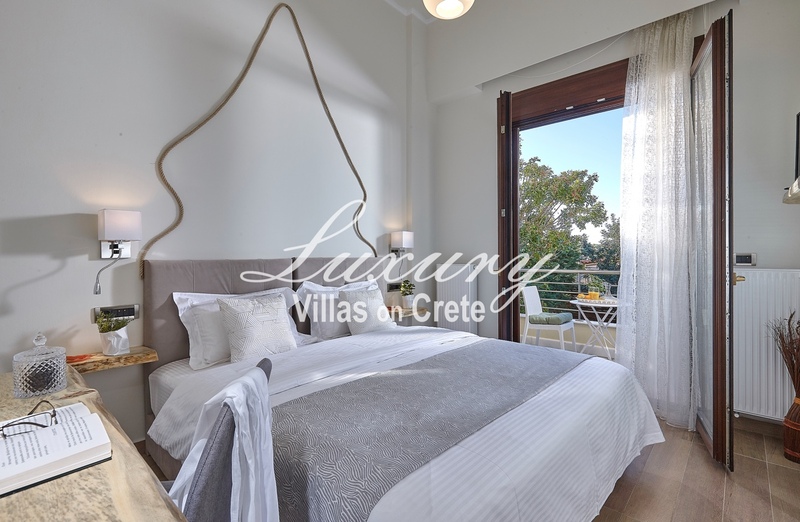 Each bedroom can have a double or two single beds depending on your wishes. 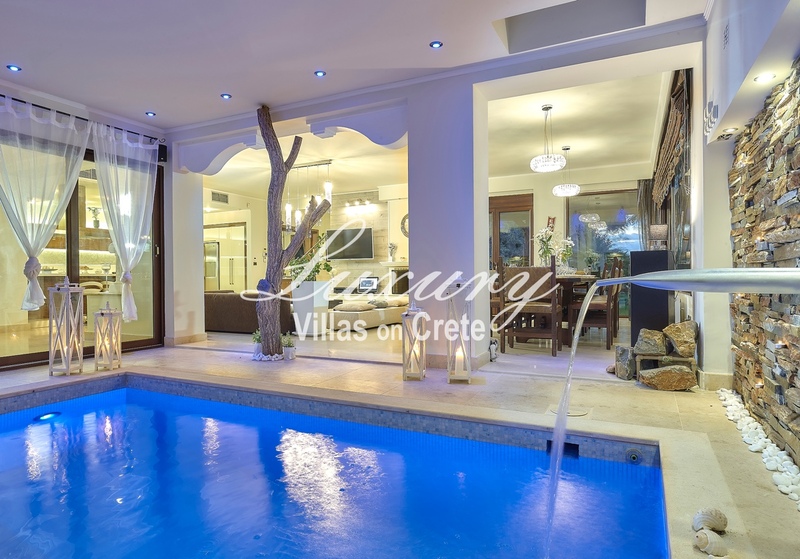 Going down the staircase you will enter the large living area with the sitting room, dining area for 12 guests, a fully equipped large kitchen and an amazing indoor heated swimming pool which also offers a jacuzzi. 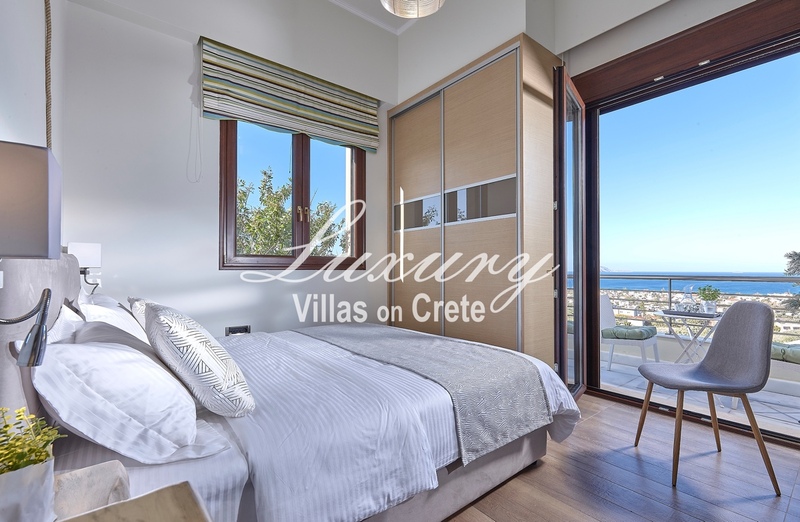 On this floor there is also an ensuite bedroom with access to the outside area and the last bedroom and a bathroom. 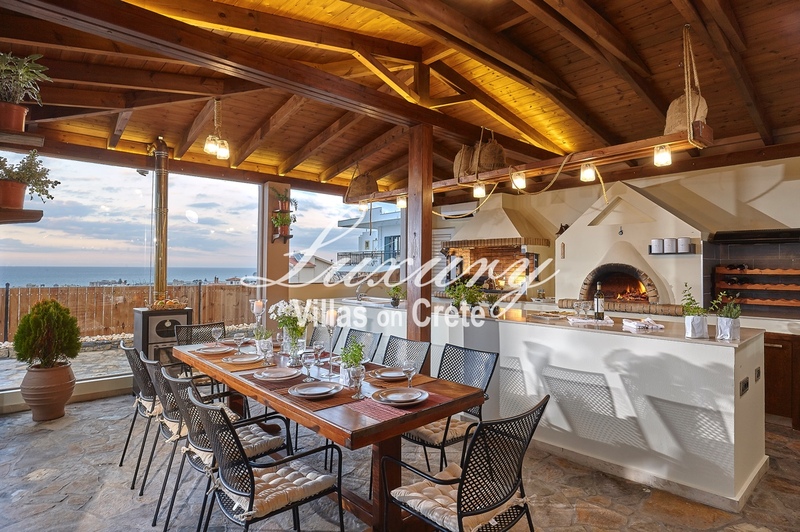 The outdoor area offers amazing views from where ever you stand and has a private pool with 12 sun lounges, a large bar with a BBQ, a wood oven and a dining table for 12 guests. 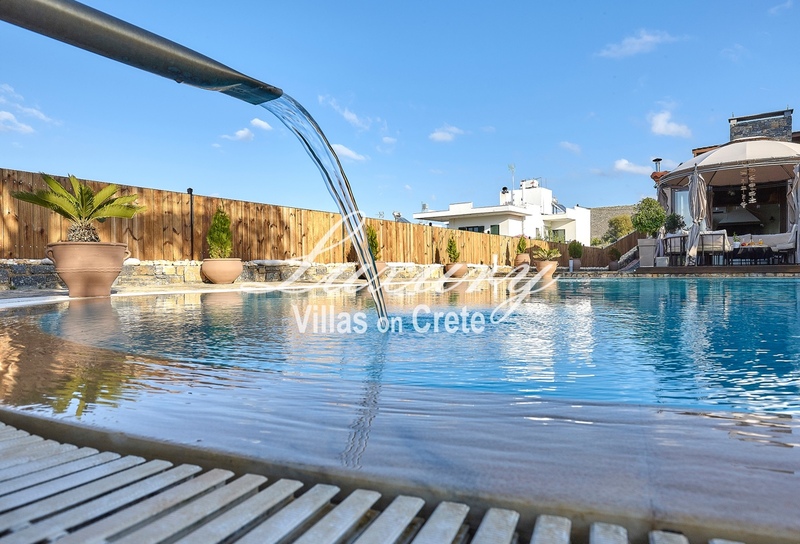 In order to heat the pool there is an extra charge of €50 per day and can reach up to 30 degrees. 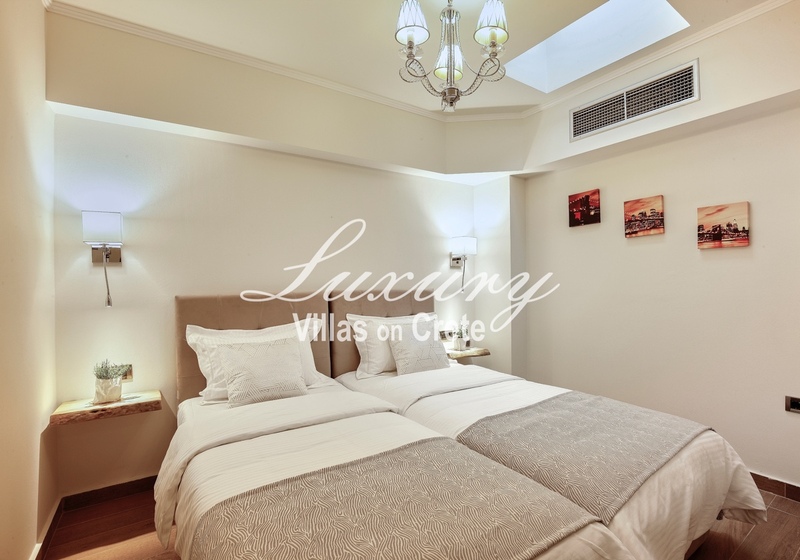 Maid service and change of linen once a week is included in the price. 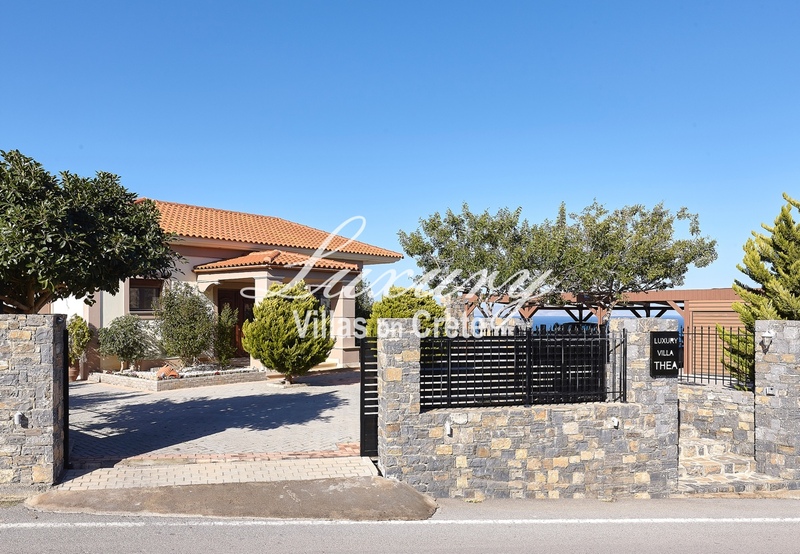 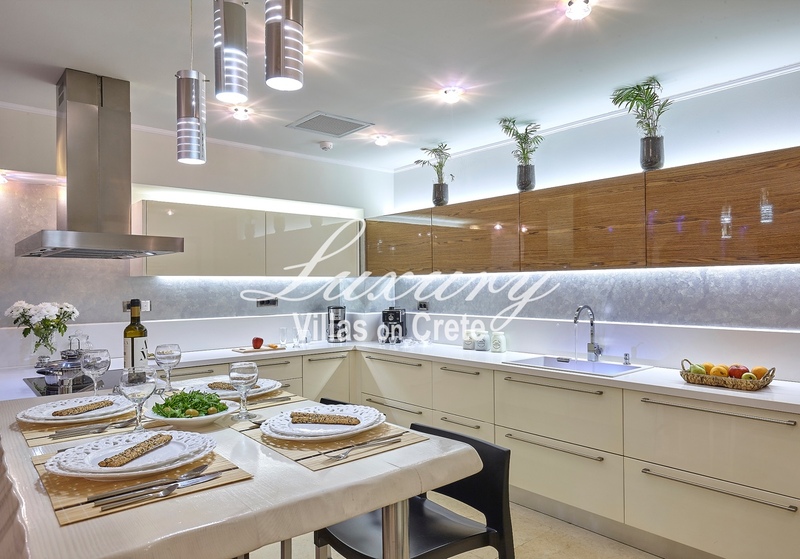 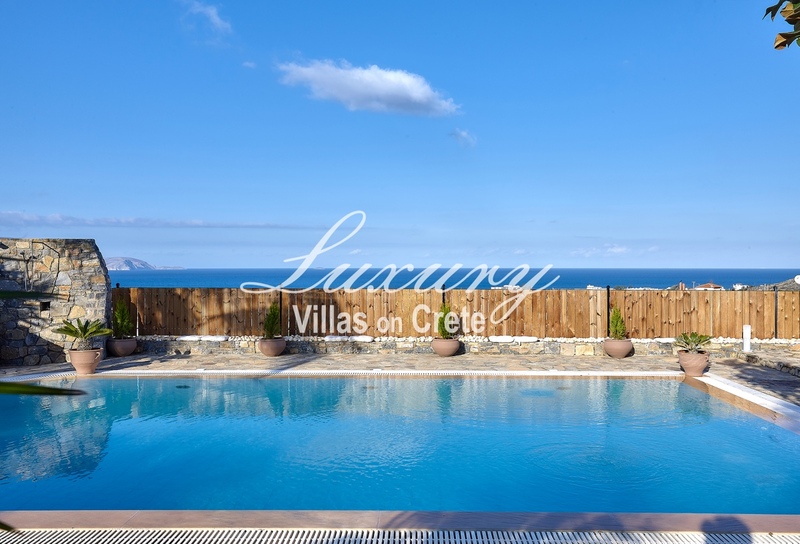 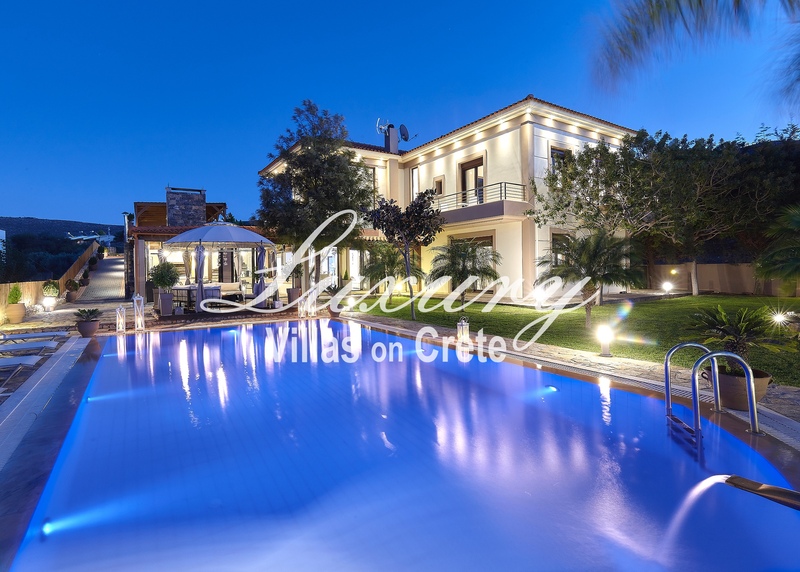 Select your check-in & check-out dates from the calendar to view the price for this villa. 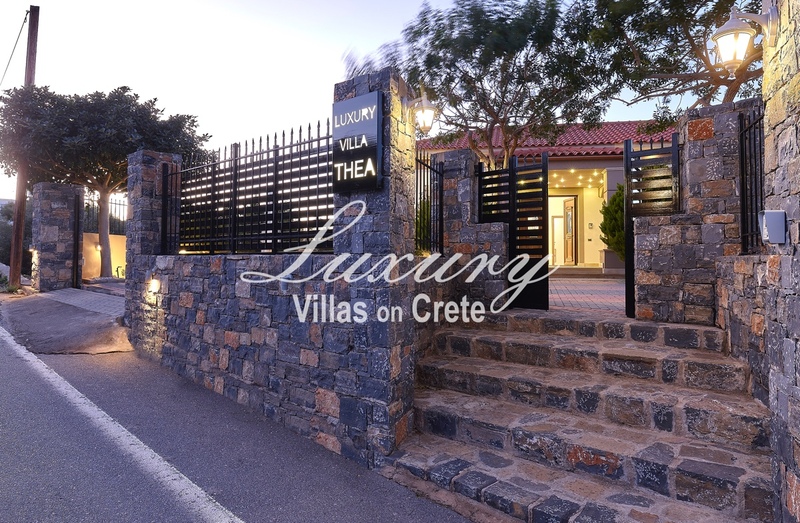 Request booking for this villa by filling in the form below. 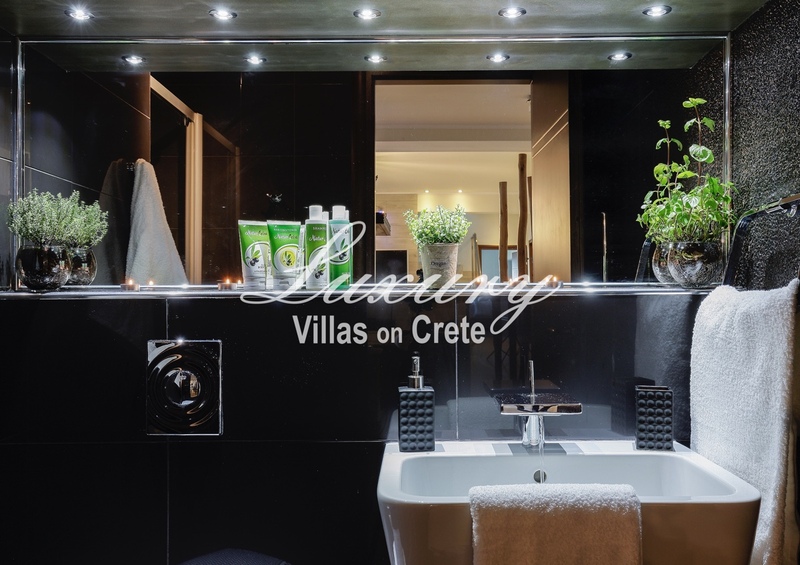 * Mandatory fields. 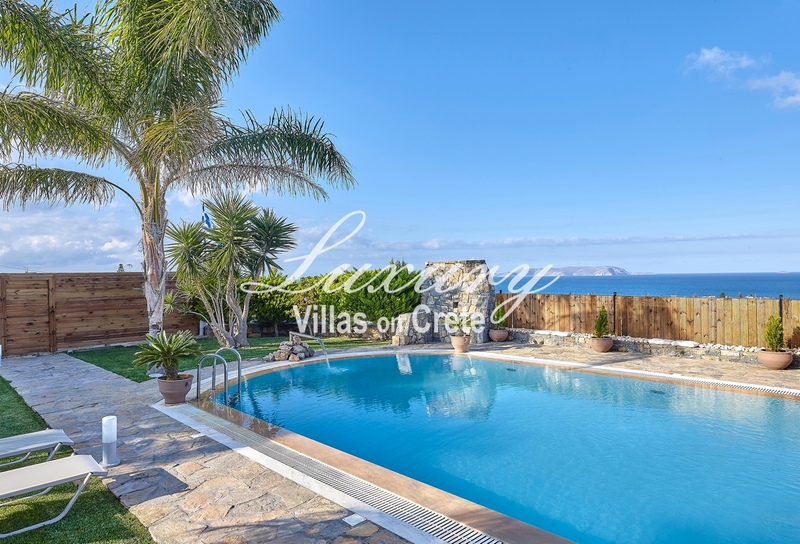 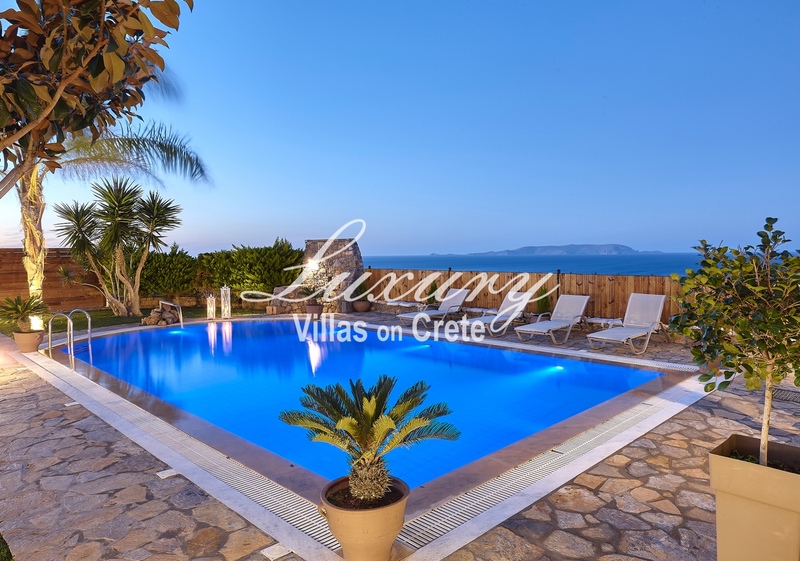 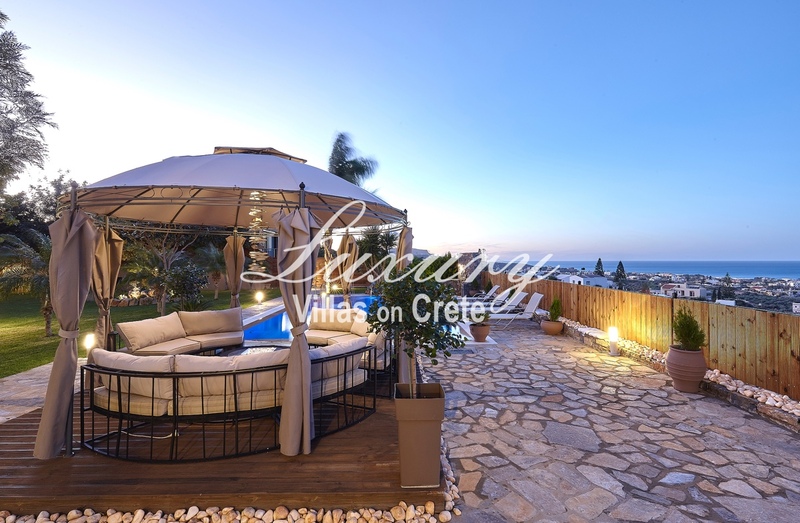 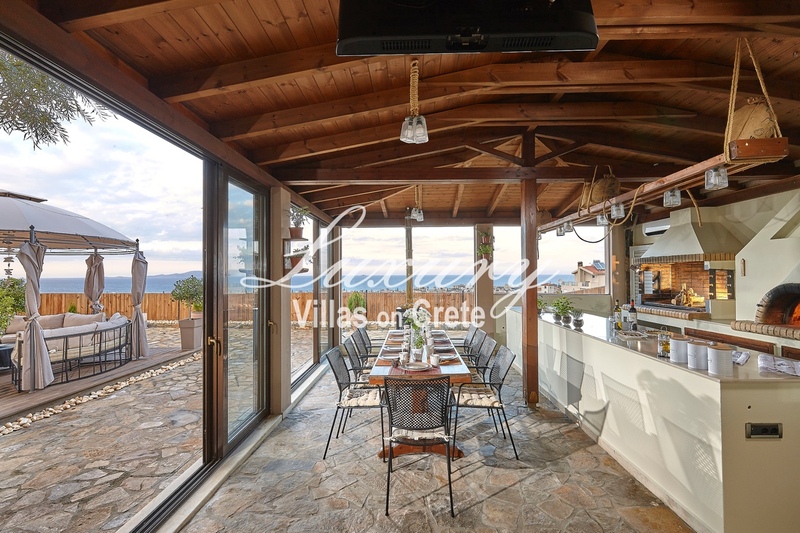 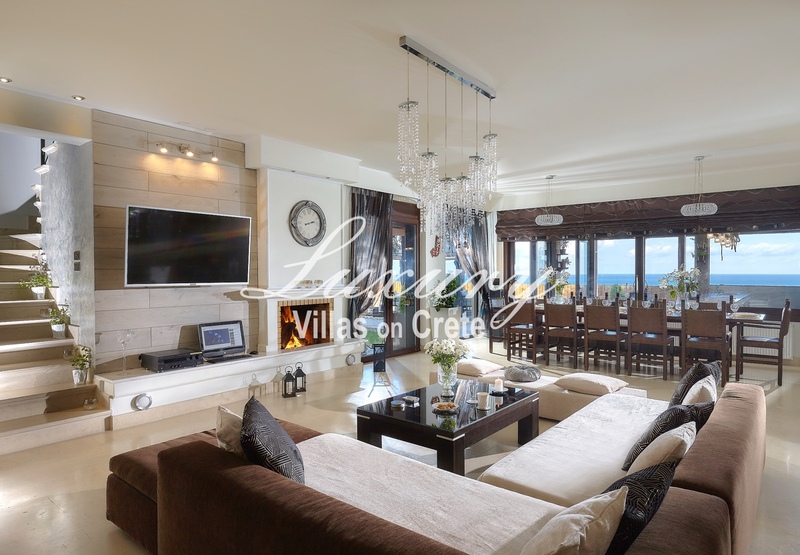 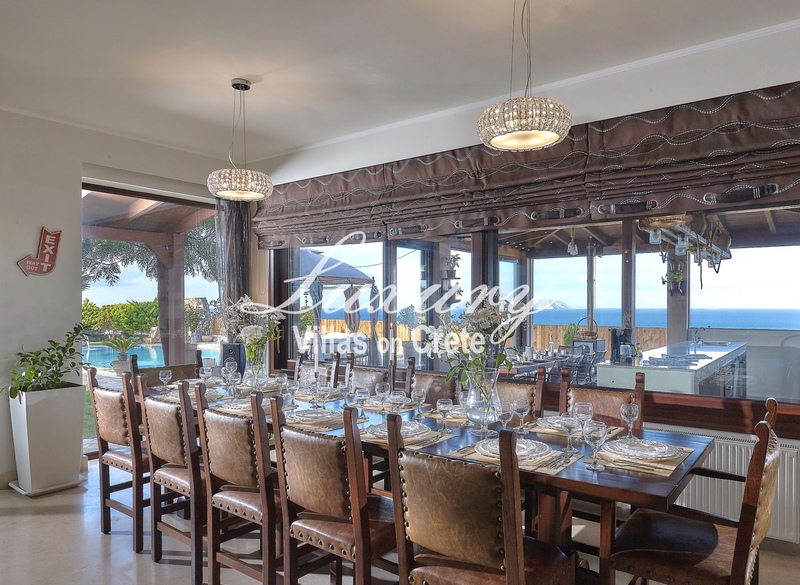 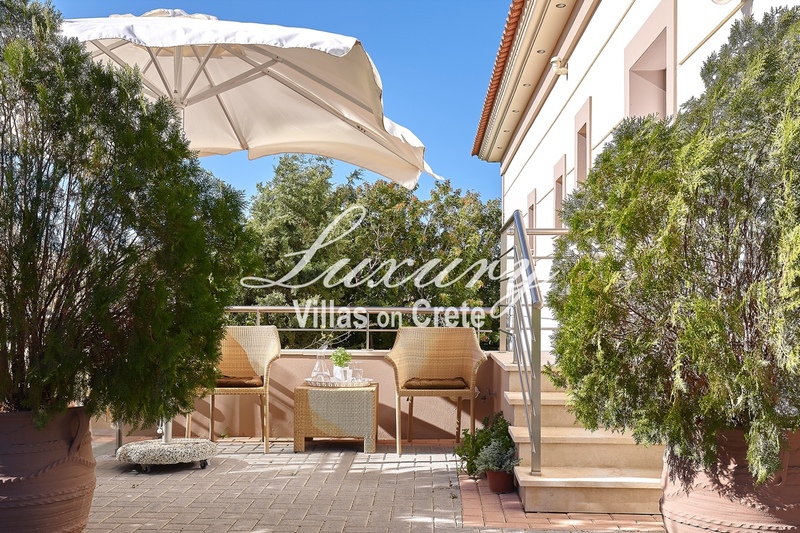 The villa is located on a hill offering spectacular sea views. 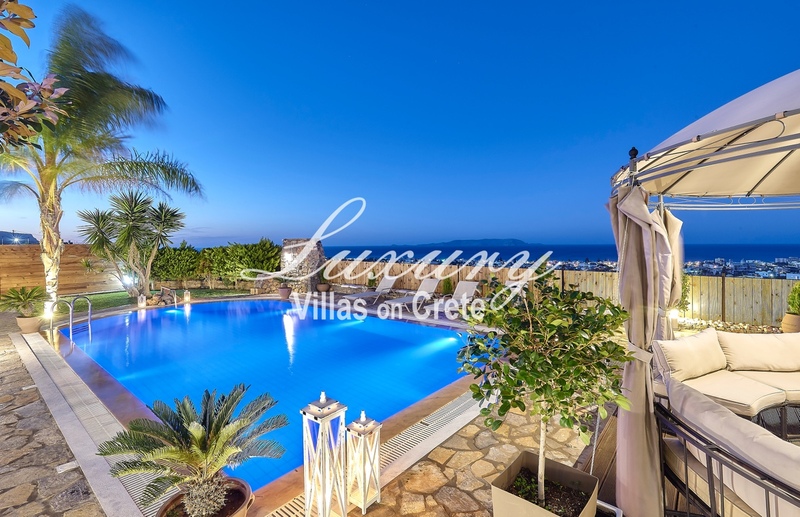 Get special offers & updates!